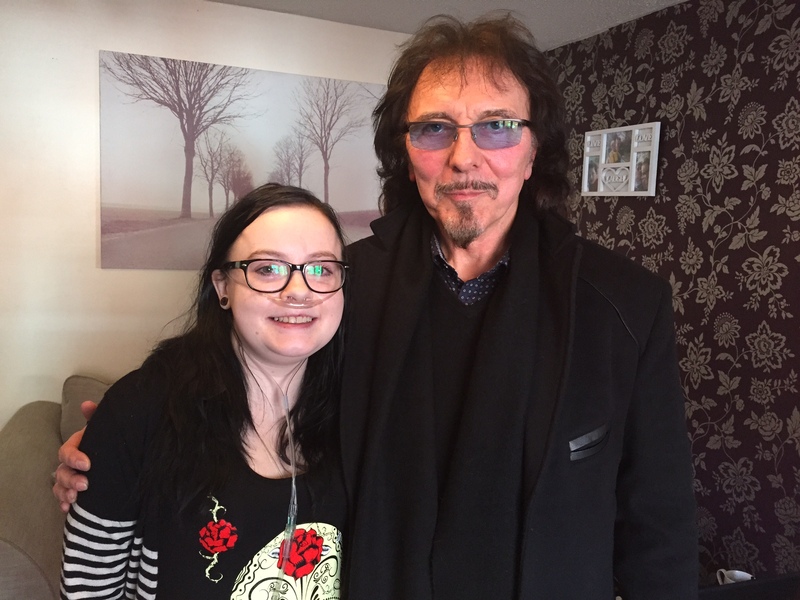 This is Nikita, a lovely young girl that I met up with today…she is suffering from Cystic Fibrosis and she is a true hero and a very brave girl. She’s also very cool, funny and she loves her music. Thanks so much to her Mom, Dad and brother for getting in touch with me, you are all truly wonderful people. Maria and I were very honoured to meet you all, we had a great day. Such a warm heart, Tony. I don’t even know what to write [happens very rarely]. You are both amazing, stay strong and keep rocking! Best wishes for you! You made my day, Tony. just wanted to say your a great guy. would have loved to have met you also. God bless her and you! What a truly wonderful thing to write, Toni – So genuine and sincere. I can only imagine how much your words mean to Nikita and her family. Every good wish for your own health. A few moments of one’s time can really bring a lot to someone if a pserson cares enough to make that time. You’re a brilliant player and musician, as well as an incredibly strong person and a compassionate human being! Been a fan of many years and if anything the admiration grows- if that is even possible! Best wishes to you and also Nikita! Cheers!